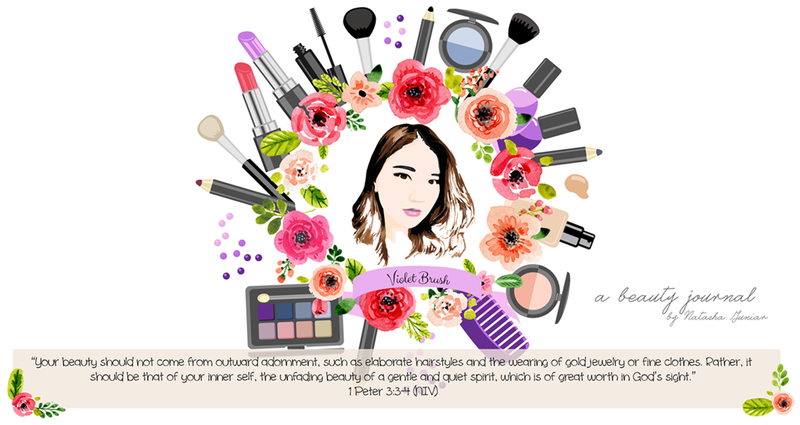 Violet Brush • Indonesian Beauty Blogger: Hello Again, Purple! 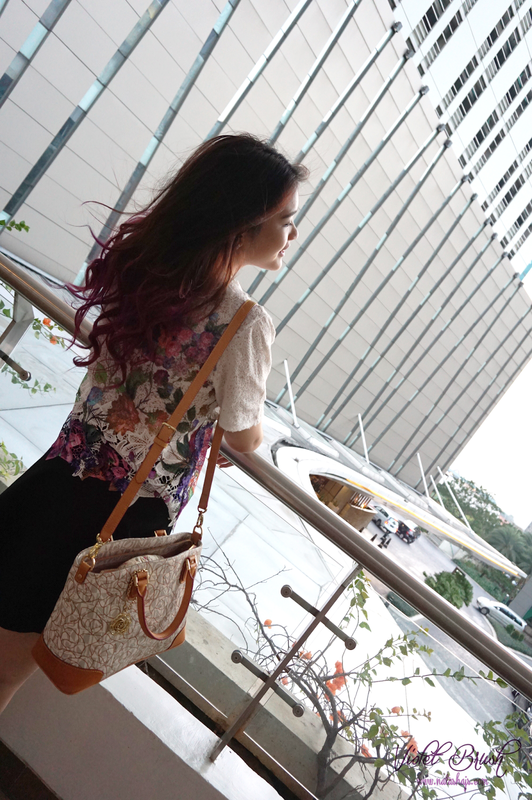 A clearer look of my hair from behind. It looks kinda pinkish under the sun but indoor, it's more purple. 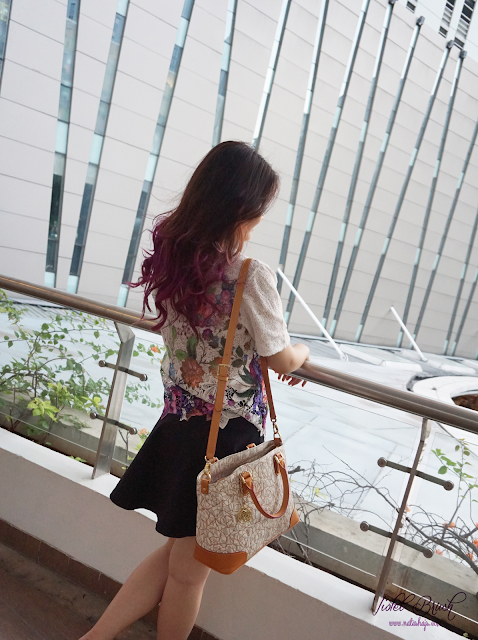 Nonetheless, I'm very much satisfied with the color. Now that it has been a month, the color has faded a little but still quite bright. Speaking of my hair, I decided to go with purple again since I wasn't satisfied enough with my last purple hair which faded very quickly. I was actually torn between purple and aqua blue but in the end, I still chose my favorite color. Perhaps, I'd have blue or green hair next. 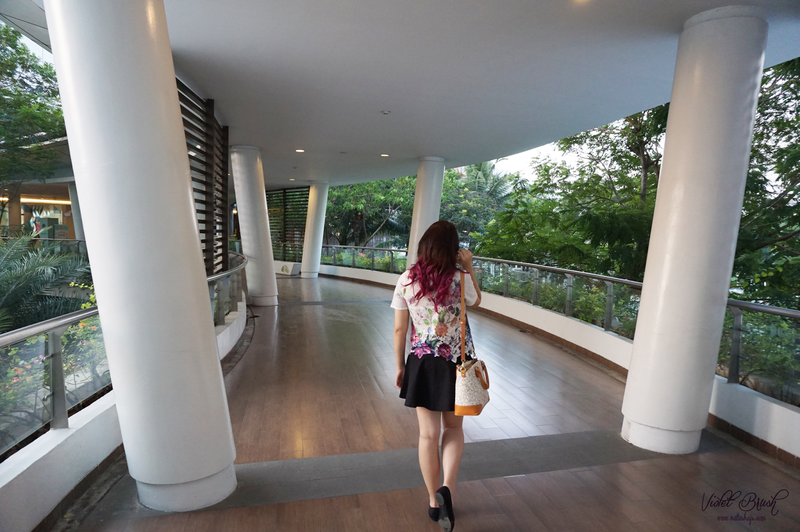 Fyi, I did my hair at salon again this time and I didn't use the usual hair dye, instead I used hair manicure which would fade after 20x washes. I bought the hair manicure product already so I will dye my hair by myself at home next time. 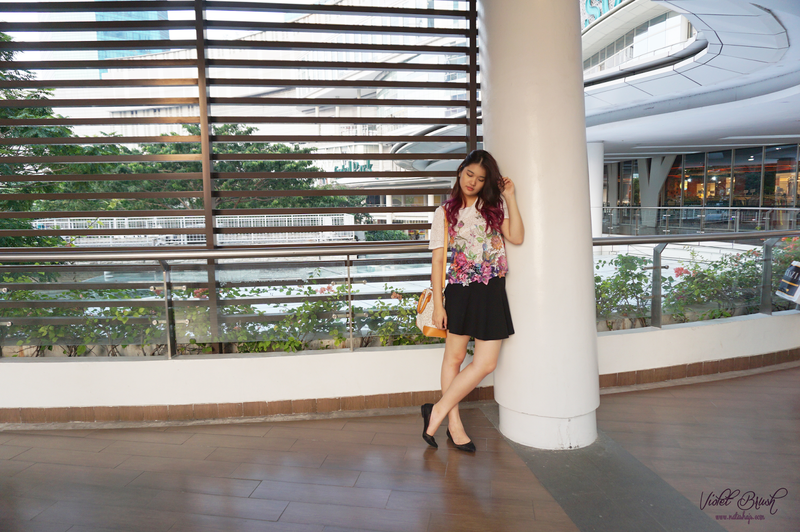 Anyway, I really love the flowery accent of the top I wore that day. 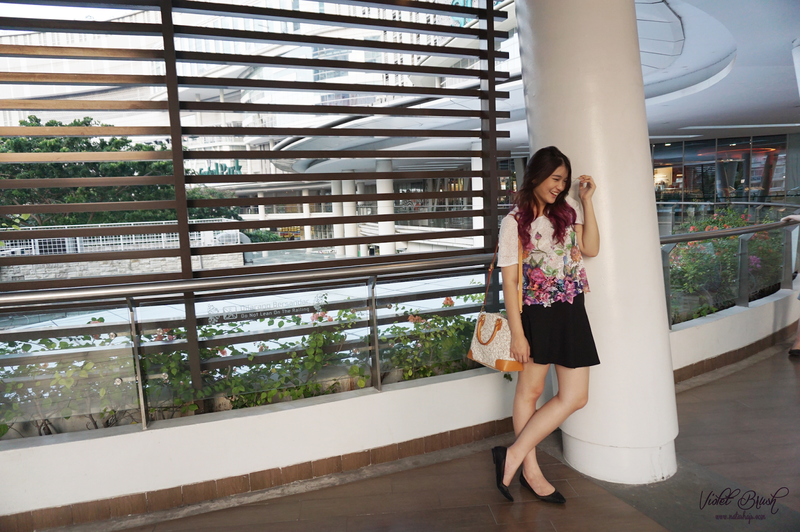 Although it has white as the base color, it has bright flowery accent to brighten up the whole outfit. I really looked fat on this photo but this is the only photo that showed my makeup of the day. It was simple, half eyeliner with mascara for the eye makeup, soft lips, soft shading, and no blush. 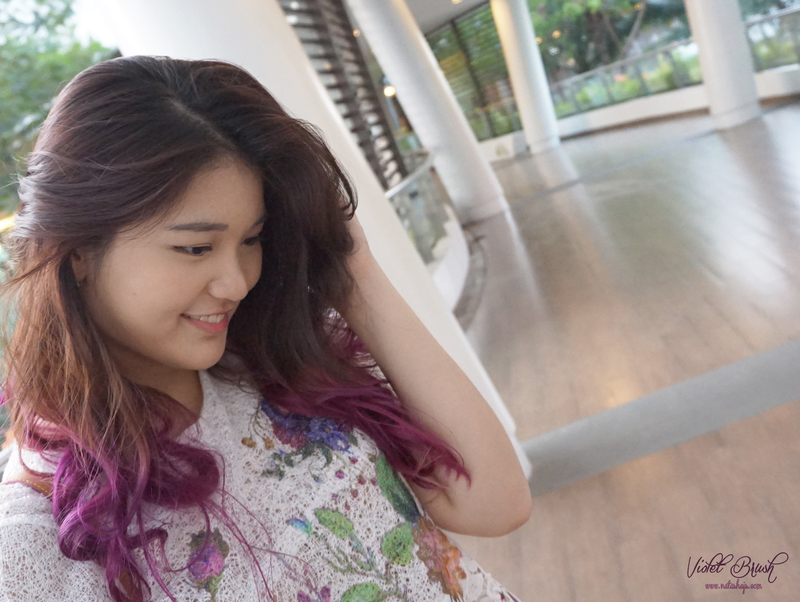 cantik banget..coloring di salon mana say? Aduuuuuu lucu bgt rambutnya x3 aku pengen ombre sendiri nih, rekomen merek yg bagus dan terjangkau dong, nat. Udah pernah nyobain manicpanic? Menurut kamu gimana? rambut aku udh pendek malah skrg >< ya emg iya sih rusaknya parah bgt jd rapuh banget banget :""